Is it a legal obligation to have a fire alarm in my building? 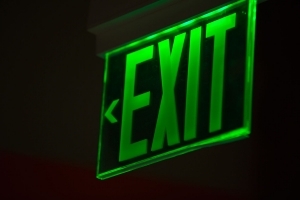 When it comes to fire safety, it’s vital to understand the law and your obligations. Fire alarms are a necessity in most building types, in order to provide a safe environment for staff, customers and residents. Failing to comply with fire safety law can result in a hazardous and dangerous environment and can even incur financial penalties. As of October last year, it became a legal obligation for landlords to install fire alarms in their properties. The announcement came from the Housing Minister in an attempt to protect tenants and offers a higher level of fire safety within rented accommodation. Fire alarms should be installed on every floor of the rented property and they should be tested at the start of every tenancy. Failure to do so could result in a civil penalty costing up to £5,000. Fire safety in businesses and non-domestic premises is the responsibility of the owner, landlord, employer, occupier or persons in a managerial position. 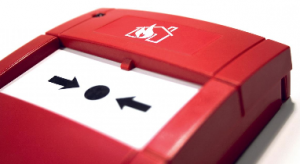 Fire alarms are essential within a sufficient fire detection system. The type of alarm and detector may depend on the building’s purpose and type. Regular maintenance checks must be carried out to ensure all fire alarms are working efficiently and fire drills must be carried out at least once per year so that all employees are aware of the fire evacuation procedure. The incorrect fire safety measures and alarms can result in a fine up to £5,000 and a prison sentence up to 2 years. Fire safety is really important in any building type. If you’d like some assistance with improving your fire precautions or would like to install fire alarms in Bath, Swindon or Gloucester, we can help. BWS have years of experience with protecting properties, commercial or domestic. For more information, you can call us on 01225 872 385 or you can email us here.